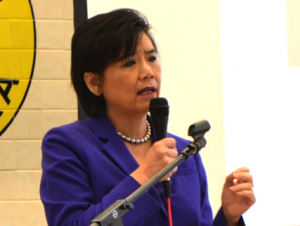 APIAVote, AARP and AARP LA will present Asian American and Pacific Islander Caregiving Forum on Monday, Dec. 4, from 6:30 to 8:30 p.m. at Langley Senior Citizens Center, 400 W. Emerson Ave. in Monterey Park. Rep. Judy Chu (D-Pasadena), chair of the Congressional Asian Pacific Ameri an Caucus, will give remarks. One quarter of caregivers are millennials. Every one of us will be a caregiver and/or need care. This is an opportunity to hear and earn through others’ experiences and to share the needs and challenges of being a caregiver or being provided care.